A sweet treat any day of the week! Warm, rich colors of pink and orange are contrasted with fresh green - a welcome combination for any occasion. 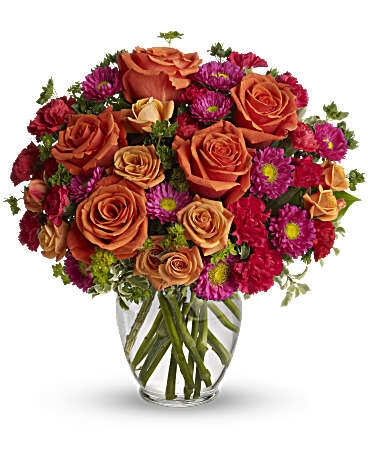 Send it to sweeten a best friend''s birthday, say "hi" to mom, or delight your better half.